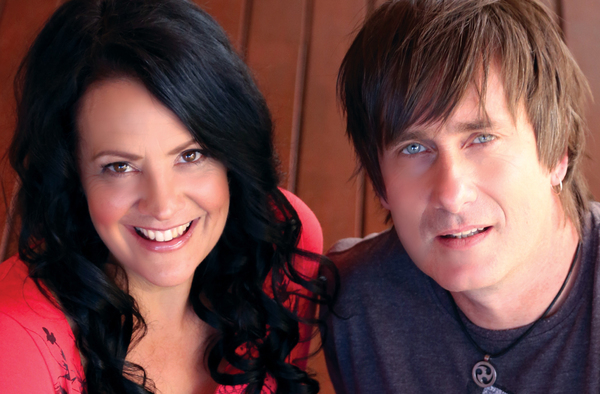 THICK AND THIN: Couple and country duo Merelyn and David Carter. Merelyn and David Carter have survived car crashes, tumours and Black Saturday bushfires, so a big gig at the Sphinx Hotel is well within the country couple’s “comfort zone”. “Those things really change your life and who you are,” Merelyn told the Indy. Carter & Carter hit the Sphinx stage with three of Australia’s biggest acts in the Taste of Tamworth tour on 10 August. “We had our rehearsal with the band and all is ready to go,” Merelyn said a day before the tour kicked off in the Dandenongs. The couple put the show together more than a decade ago to give people across Australia a taste of the nation’s most famous country music festival. “A lot of people don’t have the opportunity to get up there,” Merelyn said. Taste of Tamworth comes to North Geelong next fortnight with prolific Australian artists Jetty Road, Travis Sinclair and Anthony Taylor joining the line-up. “We love Geelong, we’ve played there for many many years,” Merelyn said. The Carters met when Merelyn was touring in the early ‘90s and David was working as a guitarist. “My guitarist couldn’t do that particular tour,” she said. They would eventually marry and in 2000 released their first album as a duo. Touring as husband and wife was “not for everyone” Merelyn admitted, but she and David had developed “good tactics” for working together over the years. “You cannot take an argument on onstage,” she said. But the couple have been through thick and thin in more than music. They walked away from a serious car accident before they released their first album in 2000. An elderly motorist pulled out in front of them as they drove back from a gig in Warrnambool, Merelyn said. “We hit at about 100km/h. We had our two girls in the back of the car. “Nobody was killed but we should have been looking at the end result. In 2007 surgeons removed a tumour from David’s spine. And in 2009 the couple fought the Black Saturday bushfires at their King Lake home. The fires wiped out the town but Carters fought for “hours and hours” with a water truck and a massive hose to save their home. The couple survived it all and went gone on to win a Golden Guitar and 11 Australian Independent Country Music Awards. “We love sharing who we are,” Merelyn said.